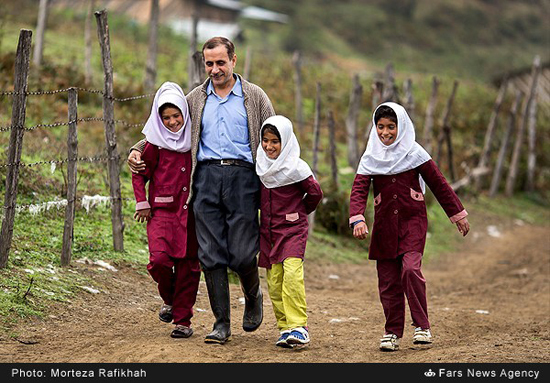 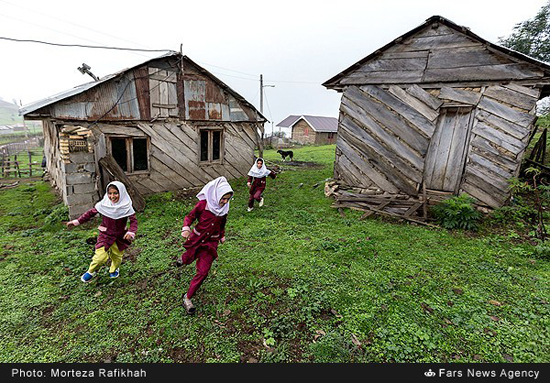 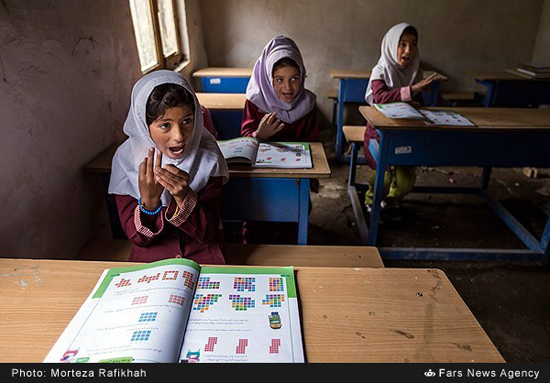 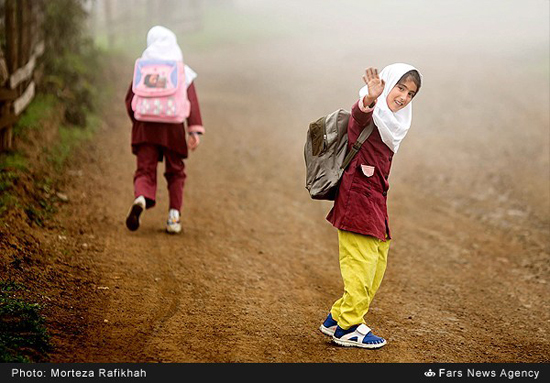 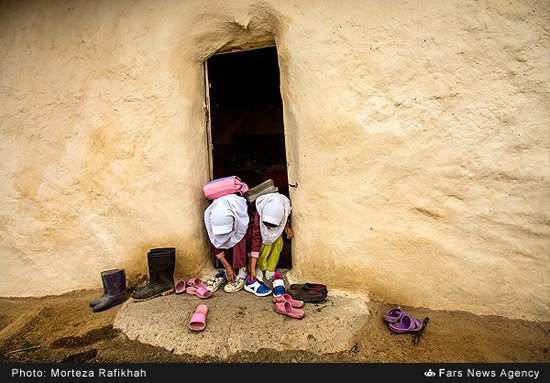 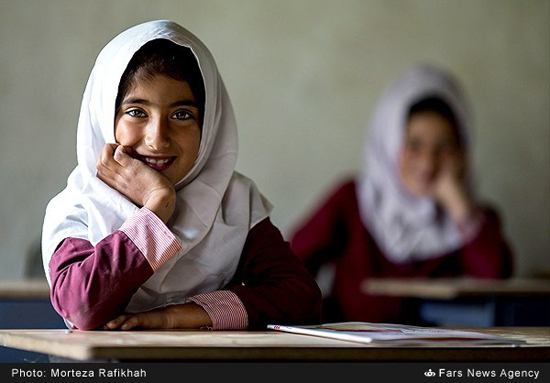 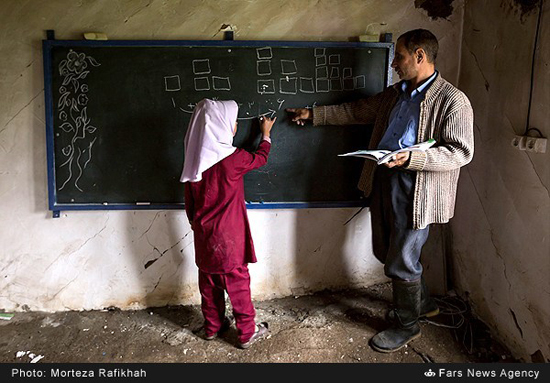 Fatemeh and Ainaz Mohammadi and Fatemeh Mehdipour are the three students of Shahid Najafi School in Asbsara Village of Talesh County in northern Iran. 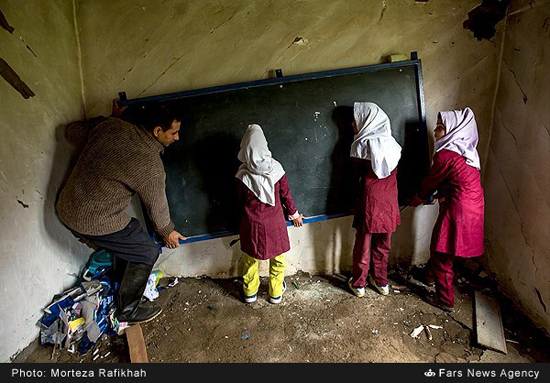 The three girls went to the school on the first day of the academic year, and cleaned up their classroom with the help of their teacher Keramat Bakaram. 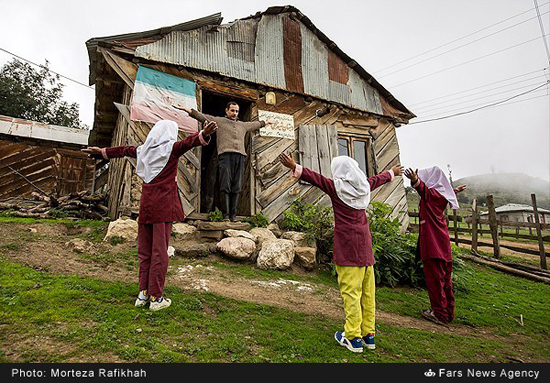 According to a report by Fars, as translated by IFP, Shahid Najafi School has 14 students in five grades; however, most students migrate to the village from upper regions, and thus join their classmates in the first few weeks. 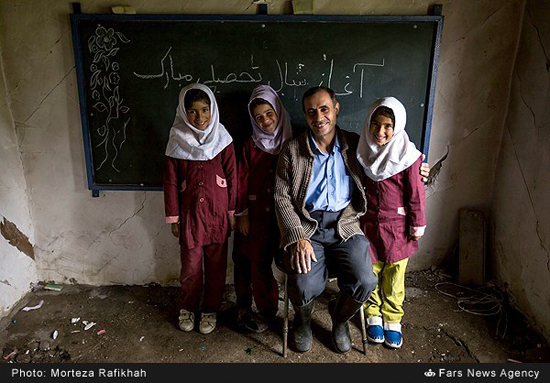 Every day, the school’s teacher rides his motorcycle for 2 hours on the rough 30-kilometre road to give his knowledge to the students.